Cultural manager and researcher, focused on gender and pedagogy of cinema and visual arts in Barcelona, holding a Degree in History of Art at UB and a Master in Museum Studies and Critical Theory at UAB and participated at the Independent Studies Programme (MACBA). From 2010 until 2012 she co-directed International Women’s Film Festival of Barcelona and gained 7 years of experience in educational visual arts and film culture at Drac Magic where she was doing her practice of cultural programming and educational activities with institutions as Mercat de les Flors, Filmoteca de Catalunya, El meu primer festival or Barcelona City Council. 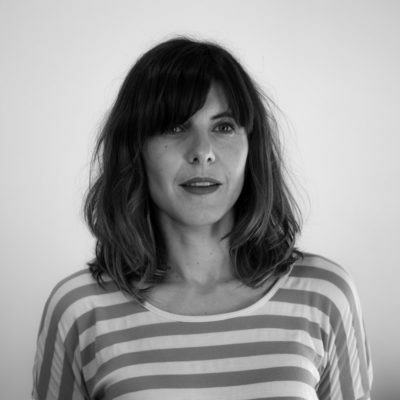 Currently Blanca Almendariz Granero is working at Digital Films, a production company focused on visual literacy where she’s been working in the development of educational resources for Obra social “la Caixa” exhibitions: “Georges Méliès. The magic of movies” and “Pixar: 20 years of animation”. She is also teaching cinema workshops for kids and offering professional advice on language education and media culture for education agents and institutions. She is a member of Col•lectiu Tara a group of women, from different professional areas, whose purpose is the study and research on visual representations and feminism.